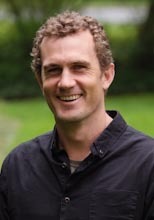 Dr. Bryson Robertson is an Adjunct Professor within the Department of Mechanical Engineering, and serves as the Programme Manager for the West Coast Wave Initiative (WCWI) and 2060 Project within the Institute for Integrated Energy Systems. Bryson has a Coastal Engineering PhD from the University of Guelph/Queens University, and a bachelor of Mechanical Engineering degree from the University of Victoria. His research interests include marine coastal processes, water wave theory, renewable energy and energy systems analysis. With over a decade of experience in renewable energies, oceanographic measurements and coastal engineering, Bryson manages a two teams of highly skilled post graduate, graduate and undergraduate students, whom are all committed to developing the next generation of tools and techniques to better understand out future marine and energy systems. The WCWI performs detailed wave energy resource assessments for the West Coast of Canada, through numerical modelling and a network of measurement buoys; optimizes international partner WEC technologies for British Columbia waters, through physical scale tests and numerical modelling; and integrates the resulting wave power production into the electrical grid to provide an accurate representation of the Canadian wave energy opportunity. The 2060 Project takes a long-term energy systems vision to the future of Canada’s electrical system. With a focus on low carbon emission transition pathways, the 2060 Project explores the nexus of technology, policy, economics and society on the decarbonisation of Canada’s electrical sector. Through direct engagement with electrical utilities, provincial governments and academia, the findings from the 2060 Project provide both the qualitative and quantitative knowledge required to help drive the Canadian electrical system through the transition to carbon neutrality. Not just a theorist, Bryson is intimately aware of the physical power of ocean waves after spending 3.5 years circumnavigating the globe in a small boat with the OceanGybe Expedition. When not at UVic, Bryson can be found trying to get lost in the outdoors - in the mountains, on the beaches and in its rivers.